How can YSlow helps you ? 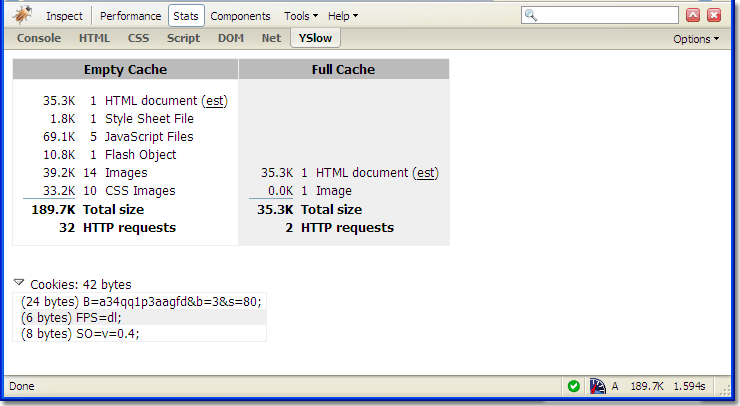 YSlow calculates the total size of the web page for both empty cache and primed cache scenarios, as well as information about cookies. YSlow analyzes any web page and generates a grade for each rule and an overall grade. If a page can be improved, YSlow lists the specific changes to be made. 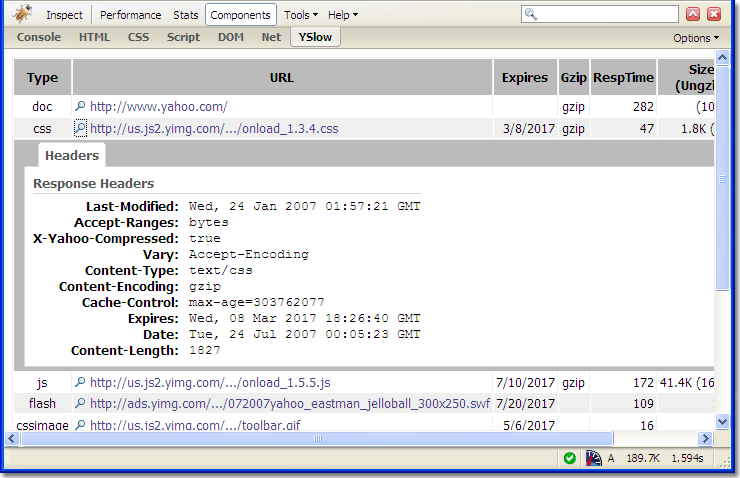 YSlow lists all the components in the page including their type, URL, Expires date, gzip status, load time, size, and ETag. 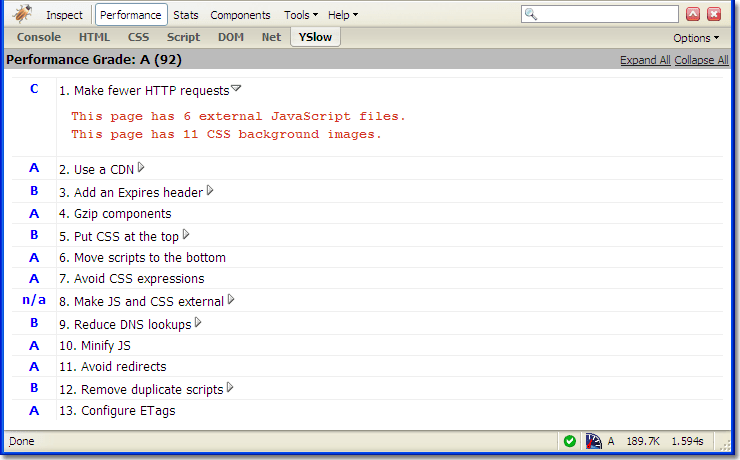 You can also view the HTTP response headers for any component. This is a Firefox plugin, you will need to install firefox 3 first. Your hosting account plays an important factor too, make sure you choose hosts with Multiple high speed backbone to have the highest possible speed. Check out best hosts.